1 Analog synthesis – How is it done? Analog Synthesis, what is it? Many forms of synthesis are now available to the musician but it was not always so. Not so long ago if you wanted to make music you had to gather with other musicians and play real musical instruments. Some people still do. 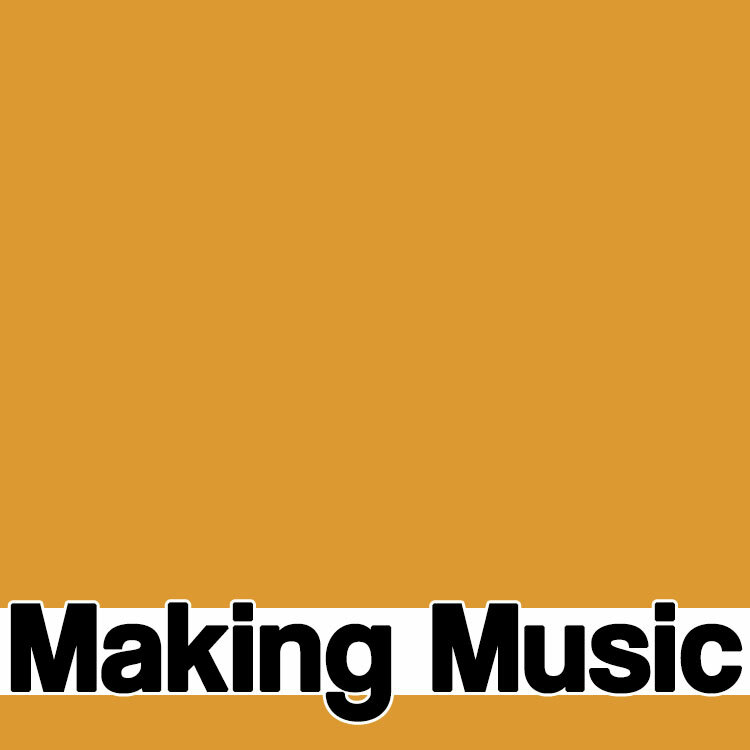 But the desire to create new sounds has long been a musician trait and is doubtless what lead Denner to invent the clarinet in 1700 and Adolphe Sax to invent the saxophone in 1846. However, it wasn’t until the development of electronic circuitry that musicians had the most powerful creative force at their disposal. Arguably, the first ‘electronic synthesiser’ was the Theramin developed by Termen in the 1930s. Over the next two decades, this was followed by various electronic organs and then the RCA Music Synthesizer. 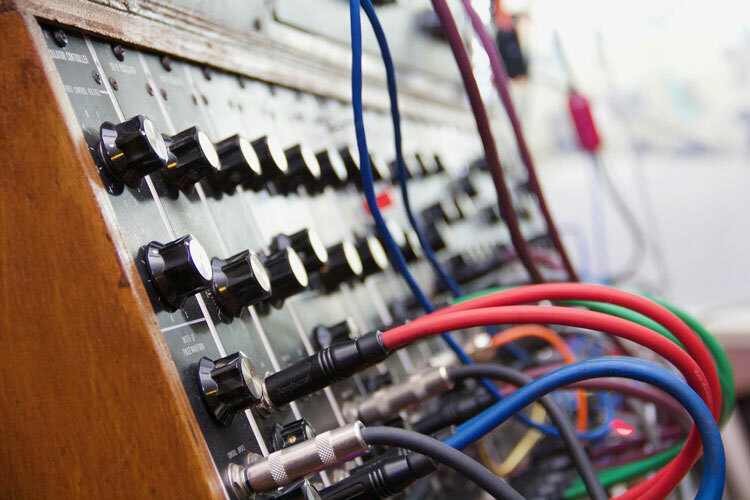 Several companies began developing synthesiser circuits although Robert Moog is commonly regarded as the father of synthesis, primarily through the development of voltage control. Moog synthesisers appeared commercially in 1964 and the rest, as they say, is history. 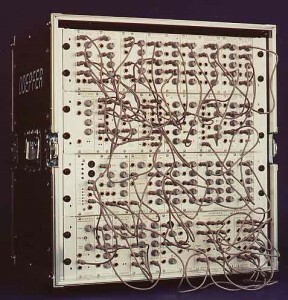 Most early analog synths, Moogs in particular, were modular in nature. That is, you got a set of synth modules that you had to patch or link together yourself in order to make a sound. It’s a very flexible system but it means you need to know a bit about synthesis before you can even get the thing to squeak. 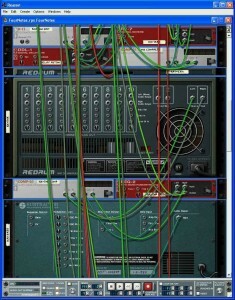 Many modules ended up being connected in the same way so a natural development was to produce an instrument with the common routings preset or hardwired. This traded off flexibility for ease-of-use but it proved a popular move and most synths, particularly those with a keyboard designed for performance, soon had a degree of hardwiring in them. Technology has moved on apace since the 1960s. We have reliable and powerful digital circuitry plus, with modern computers, the ability to emulate synth circuitry in software. Even though there are no voltages as such in soft synths, many adopt a pseudo CV (Control Voltage) system. These include Arturia’s Moog Modular V among others. Even modern hardware synths which are obviously built with digital circuitry, interface with the user through analog-type controls. And there are still companies such as Analogue Systems and Doepfer who produce genuine analog synth modules. Why? The reason is three-fold. First of all, the principles of analog synthesis are easy to understand and fairly intuitive. If you understand the basics, you can quickly become acquainted with any synth – far easier than having to learn a new form of synthesis as Yamaha DX7 (which introduced us to the delights of FM synthesis) owners soon learned! However, even alternative forms of synthesis use building blocks from analog synthesis such as envelope generators and filters. 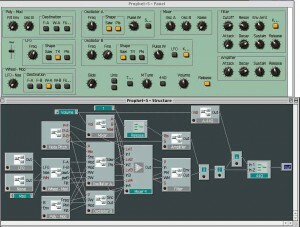 Native Instruments’ Reaktor is a fully modular soft synth with analogue controls. Secondly, there’s something very appealing about twiddling dials and moving sliders – these things are fun to work with. Soft synths aren’t so hands-on but they are still fun, usually many times more powerful than hardware instruments and much, much cheaper. Finally, many old analog synthesisers had a distinctive sound – the Moogs were famous for their ‘fat’ sound, a result of the filters used in their construction. Devotees claim this character is not found in digital synths and many software developers have worked hard to emulate vintage synth circuitry in software. So can a soft synth or a hardware synth that uses digital circuitry genuinely be called an analog? Strictly speaking, analog synthesisers are those created with analog (as opposed to digital) circuitry. The first synthesisers were analog because, well, digital circuits had not been invented! However, the term has expanded to include almost any synth that behaves in an analog fashion. Analog synthesis – How is it done? The analog synthesis approach to creating sound is pretty simple. It uses three main building blocks – tone generation > tone shaping > volume shaping. In other words, you take a waveform produced by an oscillator, use a filter to change the tone, and shape the volume with an envelope. We’ve covered all three stages in other Quick Guides so click on the links if you want more information. Propellerhead’s Reason is a rack containing synth modules that you can link together with virtual patch cords. Linking modules together is fine but you need a way to control them and to play specific pitches rather than having to twiddle a dial every time you want a new sound. The big breakthrough came with Moog’s development of voltage control. This revolutionised analog synthesisers and lead to the development of modules such as the VCO (Voltage Controlled Oscillator), VCF (Voltage Controlled Filter) and VCA (Voltage Controlled Amplifier). The pitch of a VCO is determined by voltages produced by the keys on a keyboard. The cutoff frequency of a VCF could be controlled by voltages from other modules and the ADSR envelope generated voltages to control the VCA. The Control Voltage method allowed the output of any module to be patched to the input of any other – an incredibly powerful and versatile system. If there was a downside it was one of standardisation and this had nothing to do with the CV principle but the way it was implemented. In true music industry style, different manufacturers used different voltage systems so it was difficult to connect one company’s synthesiser to another’s but eventually, a 1 Volt per octave system dominated. To control pitch, each key on a keyboard generates a voltage. The higher the key, the higher the voltage and the higher the pitch. The Gate pulse generated by a keyboard determines when the ADSR generator triggers. In addition, a synth keyboard generates two other signals – a gate pulse and a trigger signal. The gate pulse lasts for as long as a key is held down, telling the synth when a key is pressed and when it’s released. 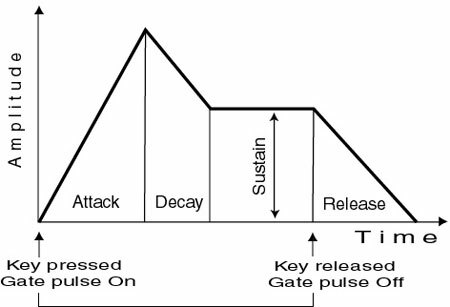 This controls the envelope generator – the Attack phase begins when a key is pressed and the gate pulse starts, and the Release phase begins when the key is released and the gate pulse ends. Some instruments, particularly modular systems, also have a trigger signal. This is simply an on/off signal, a short blip, that’s generated as soon as a key is pressed, even if one is already being held down. It can be sent to the VCO to generate a new pitch but without triggering a new envelope, allowing the player to create a slur. Gates and triggers are not normally a feature on hardwired instruments as their functions are incorporated into the design. As well as the VCO, VCF and VCA, there are several other core analog synthesis modules. A basic synthesiser patch using just the three main analogue modules – VCO, VCF and VCA – and an LFO. LFO. The Low Frequency Oscillator is undoubtedly the most common additional module. Its low frequency oscillations can be applied in moderation to the VCO, VCF and VCA to add musical nuances such as vibrato and tremolo, or in excess to produce sirens and sounds that change tone over a long period of time. 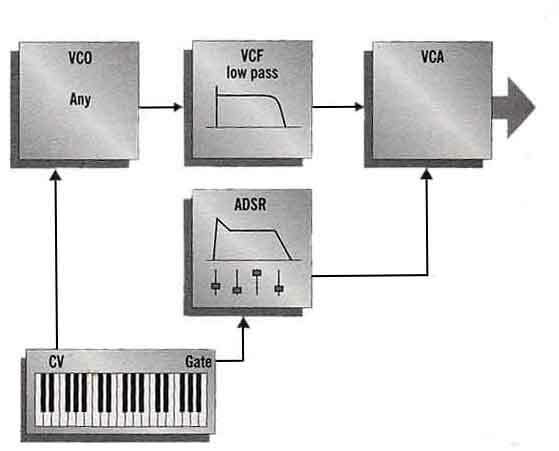 You can, in fact, build a very usable synth from just these four modules – VCO, VCF, VCA and LFO. Sub-oscillator/Frequency divider. Sub-oscillators were popular in early hardwired synths. They added another oscillator to the output, usually an octave or two below the original oscillator, to thicken the sound. With more modern multi-oscillator synths you can use a normal oscillator so dedicated sub-oscillators became less important. However, some modular synths have a Frequency Divider that can be used as a sub-oscillator but which have many more uses such as creating pulses to trigger other sounds, effects or a sequencer. Ring modulator. This has two inputs and one output. The output is a combination of the sum and difference of the two input frequencies. Without doing any hard sums, this usually produces frequencies that are ‘inbetween’ the notes in our Western scale. Its most common use is to create metallic sounds. Glide/Portamento/Slew limiter. Hardware synths have Glide or Portamento controls. Modular synths have a Slew Limiter. Their function is the same – to slide a note from one pitch to another, much the same effect as sliding your finger up a guitar string. Keyboard players cannot produce this effect naturally as each key produces a distinct semitone pitch. This module gives them slide-ability. Sample & hold. As its name suggests, this samples the input signal and holds it until it’s told to take another reading. Let’s say you plug a sawtooth into the input and use a square wave for the trigger – when the square wave moves to the top of its cycle it triggers a new sample. Assume the square cycle is four times longer than the sawtooth cycle. Each time the S&H generator is triggered the sawtooth wave will be a little higher in its cycle so if you fed this into a VCO you’d get four rising pitches. Slow down the square wave and you’d get more pitches in the series. If the two waveforms are not in sync or if you apply a random waveform such as noise to the input, then the output will be unpredictable. Plug this into a VCO for a random series of notes or apply to a filter for a random series of tone changes. We’ve looked at the key principles behind analog synthesis and some of the core modules used in analog synthesisers. Not only will these help you understand and use any analog synthesiser, they will also be useful in other forms of synthesis, too. A variation in pitch produced by applying an LFO to the VCO. A variation in amplitude produce by applying an LFO to the VCA. The generation of a new pitch without triggering the ADSR envelope. A module that divides the source frequency by 2, 4, 8 or some other amount. This can be used as a sub-oscillator or to generate rhythmic trigger pulses to control other modules. A type of synthesis, like analog synthesis, that starts with a harmonically-rich sound source such as a square wave, and then removes harmonics through filtering. The very best primer on sound and synthesis is no longer available but absolutely no apologies for mentioning it. Beg, borrow or steal (er, try begging or borrowing first…) a copy of A Foundation for Electronic Music, published by Roland Corporation, one of a four-book set called The Synthesizer, designed for users of Roland’s 100M modular analog synthesiser. 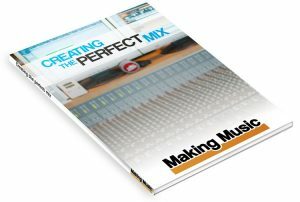 The first book of the set, A Foundation tor Electronic Music, was made available separately at the time and covers all the basic principles of sound and synthesis in detail. Several years ago, I approached Roland to ask permission to copy the books and convert them into PDFs since they had long been out of print. After many months they said they could not trace the copyright holders of some of the material so could not give permission as it was not all their’s. I doubt anyone now is particularly concerned but it’s amazing what you can find on the web! Analogue Industries has scanned and converted all four books. In case the link below doesn’t work, go to their site and enter Roland into the search box. If you don’t want anything so large, may we modestly suggest the Quick Guide to Analogue Synthesis? Sound Synthesis and Sampling is very technical but covers the whole gamut of synthesis types.